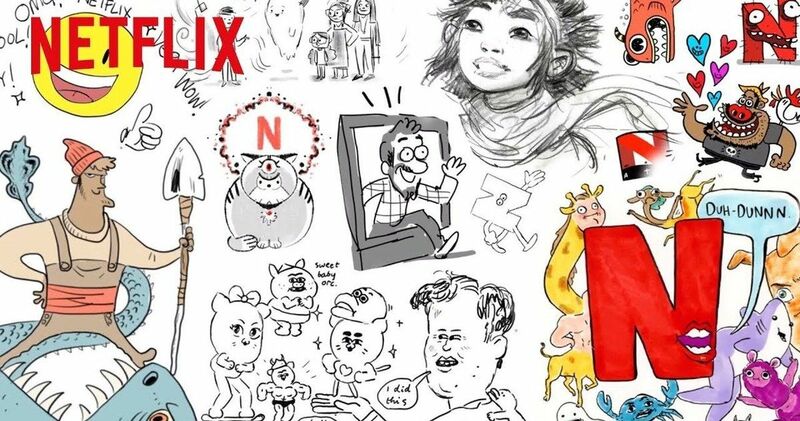 Nearly 60% of Netflix members on a global basis enjoy kids and family content every month, so the company today unveiled a robust slate of animated event programming – both feature films and original series – to give kids and families around the world more of what they love. The six all-new projects together with Netflix’s previously announced titles now comprise a slate that features a variety of animation styles, including CG (Kris Pearn’s The Willoughbys), 2D (Nora Twomey’s My Father’s Dragon), and stop-motion (Guillermo del Toro’s Pinocchio). The programming is designed to meet the tastes of every member of the family, from preschoolers (Rajiv Chilaka’s Mighty Little Bheem) to kids (Craig McCracken’s Kid Cosmic) to parents and their children together (Jorge Gutierrez’ Maya and the Three), so that families everywhere can find something that fits their unique DNA. Said Melissa Cobb, Vice President of Kids and Family at Netflix. My Father’s Dragon (2021) is a 2D animated family feature film from director Nora Twomey (The Secret of Kells, The Breadwinner) and written by Meg LeFauve (Inside Out, The Good Dinosaur), with story by Meg LeFauve and John Morgan, who are also executive producers. Bonnie Curtis and Julie Lynn of Mockingbird Pictures are producing together with Paul Young of Cartoon Saloon (The Secret of Kells, The Breadwinner) and Tomm Moore. Based on the Newbery Honored children’s novels by Ruth Stiles Gannett, My Father’s Dragon tells the story of young run-away Elmer Elevator, who searches for a captive Dragon on Wild Island and finds much more than he could ever have anticipated. Alan Moloney and Ruth Coady of Parallel Films will also serve as executive producers alongside Gerry Shirren. Kid Cosmic (2020) is an animated series in production from Craig McCracken (The Powerpuff Girls, Fosters Home for Imaginary Friends). This is a show about a young boy who dreams of becoming a hero, and when he stumbles across some cosmic stones of power his dreams appear to have come true! Unfortunately the reality of being a hero vs. the fantasy of being a hero are completely different and this challenge becomes the biggest battle he has to face. The Kid may be the good guy, but he’s really bad at it! Over the Moon (2020) is a CG musical adventure about a girl who builds a rocket ship to travel to the moon in order to prove to her father that a legendary Moon Goddess really exists. When she gets to the “other side” she unexpectedly discovers a whimsical world filled with fantastical creatures – some of whom threaten her and others who ultimately help her find her way home. Directed by Glen Keane (The Little Mermaid, Aladdin, Beauty and the Beast), written by Audrey Wells (Under the Tuscan Sun, George of the Jungle), produced by Gennie Rim (Dear Basketball), and executive produced by Janet Yang (Joy Luck Club). Songs written by Christopher Curtis, Marjorie Duffield, and Helen Park. Co-production with Pearl Studio. Guillermo Del Toro’s Pinocchio (2021) is the animated feature film directorial debut of Academy Award winning filmmaker Guillermo del Toro (The Shape of Water). Pinocchio is his lifelong passion project, which he will also write and produce as a stop motion musical. Del Toro has set his retelling of the classic tale of Pinocchio in Italy during the 1930s. Pinocchio is a production of Guillermo del Toro, The Jim Henson Company (The Dark Crystal: Age of Resistance), and ShadowMachine (Bojack Horseman), which will house the stop-motion animation production. Alongside del Toro, Lisa Henson, ShadowMachine’s Alex Bulkley, Corey Campodonico, and Gary Ungar of Exile Entertainment will produce. Blanca Lista will co-produce. Also alongside del Toro, Patrick McHale (Over The Garden Wall) will co-write the script, Mark Gustafson (Fantastic Mr. Fox) will co-direct, and Guy Davis will serve as co-production designer, taking inspiration from Gris Grimly’s original design for the Pinocchio character. The film’s puppets will be built by Mackinnon and Saunders (Corpse Bride). Wendell and Wild (2021) is an animated feature film from writer/director Henry Selick (Nightmare Before Christmas, Coraline) and writer Jordan Peele (Key & Peele, Get Out) with Monkeypaw Productions. Two demon brothers (voiced by Keegan Michael Key and Jordan Peele) escape the Underworld and find themselves in a town where they must evade a demon-duster teenager, Kat, who is trying to destroy them. Peele is also producing through his Monkeypaw company along with Selick and Ellen Goldsmith-Vein from the Gotham Group. Sarah Serata will co-produce. Executive producers are Win Rosenfeld for Monkeypaw, Peter Principato and Joel Zadak for Principato-Young, Lindsay Williams and Eddie Gamarra for The Gotham Group. Argentinian artist Pablo Lobato will design the characters. Motown Magic (Nov. 20, 2018) is a family-friendly animated series from Josh Wakely (Beat Bugs) that brings together 52 newly recorded versions of classic Motown hits from such musicians as The Jackson 5, The Temptations, Stevie Wonder, Marvin Gaye, The Supremes and Smokey Robinson, who serves as executive music producer. The series follows Ben, a wide-eyed 8-year-old with a big heart and an amazing imagination, who uses a magic paintbrush to bring the street art in Motown to life. This was all announced earlier today by Netflix original streaming.